Scrabble for Cheaters is all about thinking creatively and unleashing new possibilities. This fundraiser will help provide a platform for thousands of young Chicagoans to do the same, so they can write their own paths forward, undefined by circumstance. Teams of two are currently raising funds to buy cheats during this epic Scrabble throwdown. 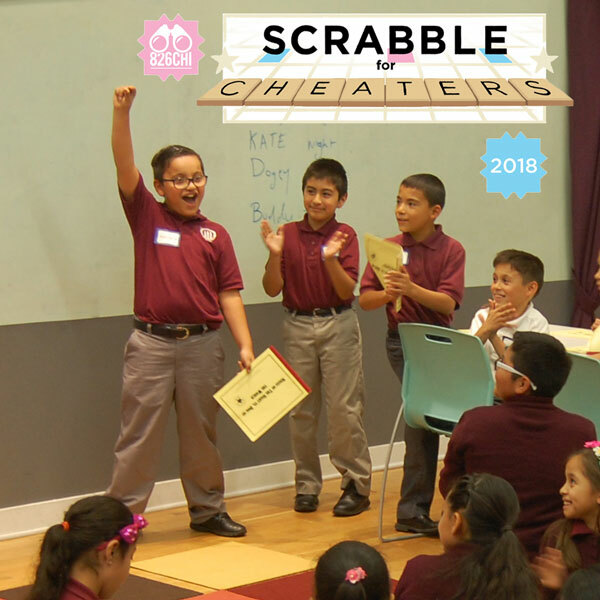 From adding a Q to any word to playing a word in any non-English language, these cheats won't just help players get ahead, they'll also support our students! This year, help us publish two beautifully bound volumes of work from our After-School Tutoring & Writing students, provide healthy snacks for fifty students, and keep our space clean and creative to inspire learning with fresh writing materials, technology, and library books for diverse readers. Food and drinks will be provided. For info on how to participate, email taylor@826chi.org.